Crate engines are like Legos for adults who love stuffing a lot of power into cars that likely weren’t meant to have it. But we often just get to see (and hear) the finished product—looking at you, LS1-swapped Miatas of the world—instead of the building block itself. But the building blocks are cool! 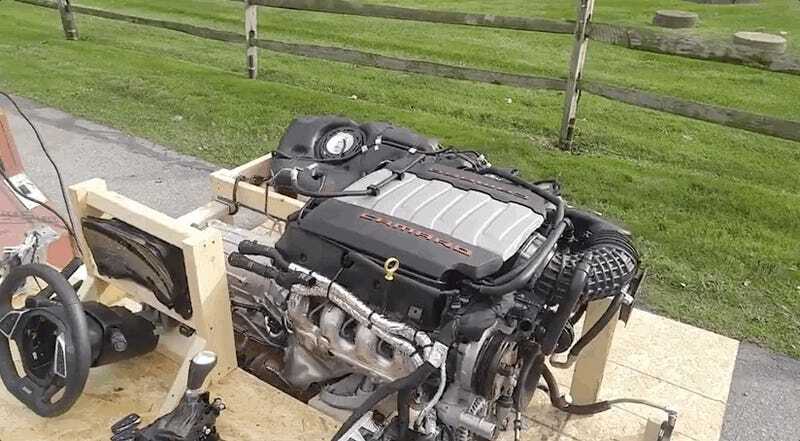 An Ohio parts shop called Cleveland Power and Performance thinks so, too, and likes to show off what its crate engines can do without all of that other stuff like a “car” hanging around. 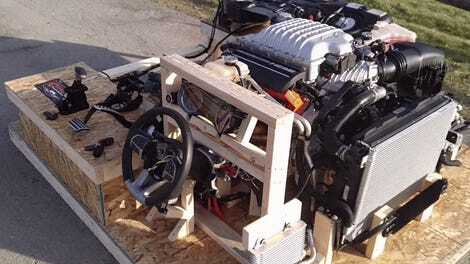 The shop sets up the engine, pedals, transmission, steering wheel and the like to show off what the engine can do in whatever poor, unsuspecting car customers decide to plop it into. It needs a little more assembly than, say, a turn-key house, the buyer at least gets a key fob with it. The shop is selling this LT1 for $13,495, and it appears to come with everything in the setup posted on Facebook. Sure, life isn’t always a field of flowers, but we live in a world where we can watch high-horsepower American V8s growl out in the wide open sunshine. Smile a little, the world isn’t all that bad.